Image: Alex Brands, JJ Rabbit, Target, American Girl, Pottery Barn Kids. Design: Ashley Britton/SheKnows. Many kids are drawn to the kitchen — whether because of a love of mixing and making messes, aspirations of chefdom or simply a desire to imitate their parents. But other children just plain love food. (I’ve got two such children myself, although they seem to love both real food and making “soup” in the sandbox equally). All this cooking and pseudo-cooking has to be great for their imaginations, right? Plus it’s got to come in handy when I finally train them to make actual meals… right? Until then, I plan to cater to their little chef hearts desires to keep that cookery enthusiasm up. 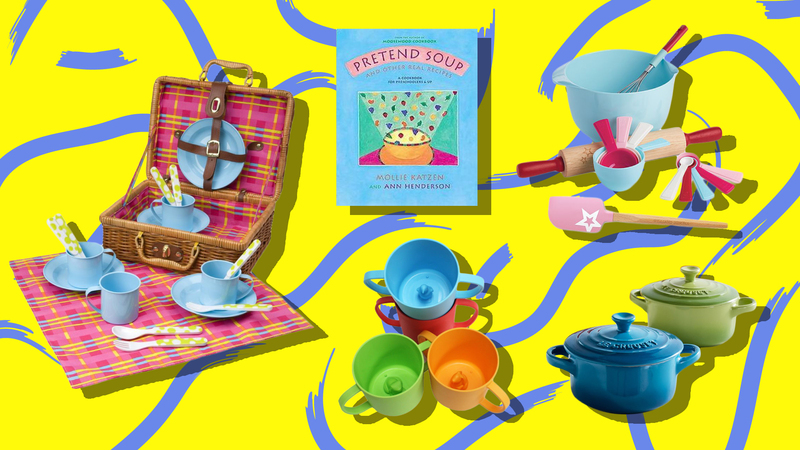 Forget the old standby plastic play food sets this holiday season; we’ve rounded up the cream of the crop when it comes to culinary gifts for kids. 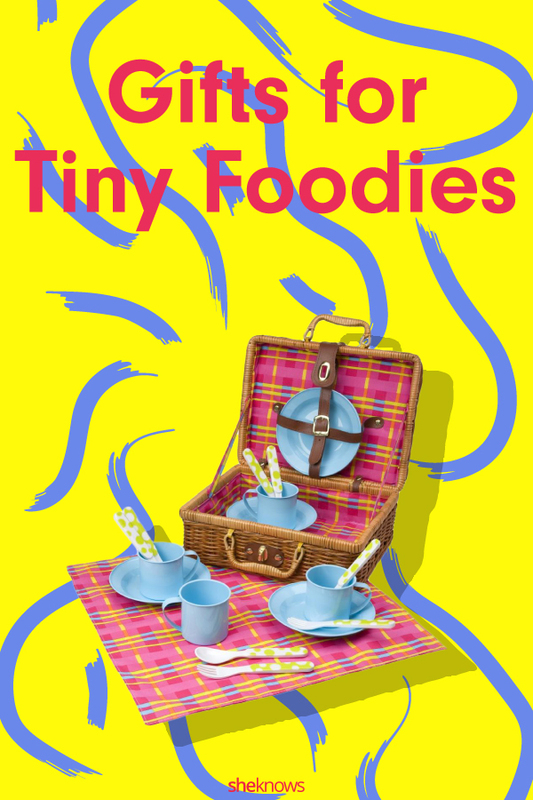 From actual baking with the classic Easy-Bake Oven to navigating Kung Pao chicken with training chopsticks, tiny foodies of all kinds are sure to love these delectable gifts. So satisfy your lil’ Emeril’s cooking craving this season with our top-shelf gift picks for tot chefs. Bon appétit. Do your kids want to help (like, really help) out in the kitchen, but you don’t know where to — safely — begin? In a room of heat, flames and sharp edges, the prospect of kid participation can seem dangerous at best. 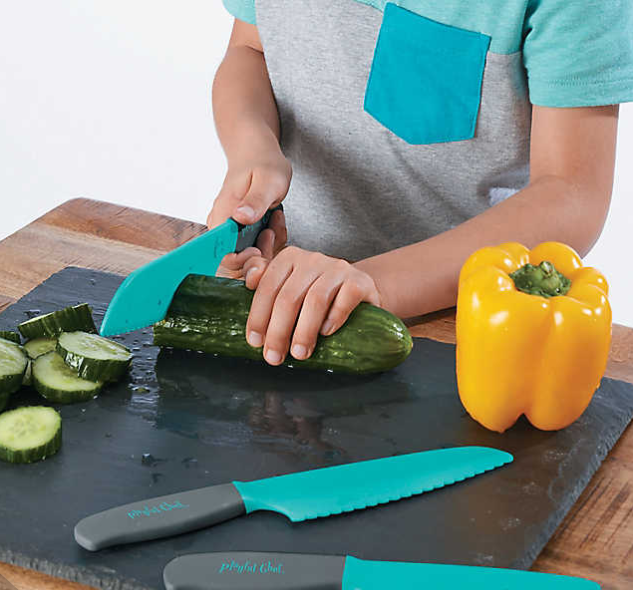 But Playful Chef has you covered with this knife set designed just for kids. According to Mindware, these specially engineered knives allow children to “saw and chop through hard foods like carrots and apples without [posing] any danger to little fingers.” Brilliant. 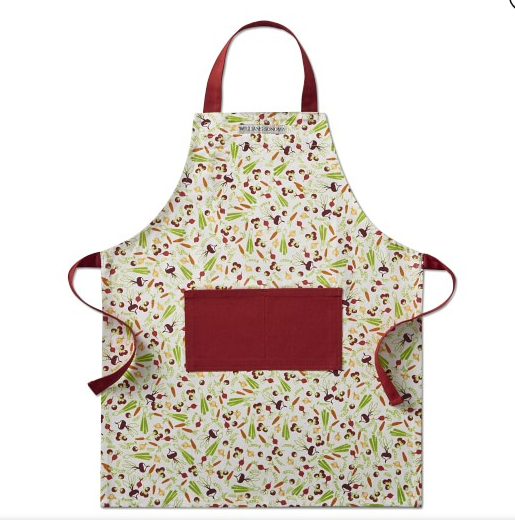 Every cook needs an apron, and this cute brightly colored edition is perfect for every little chef. The ultimate cookware — Le Creuset — now comes in kiddie size. 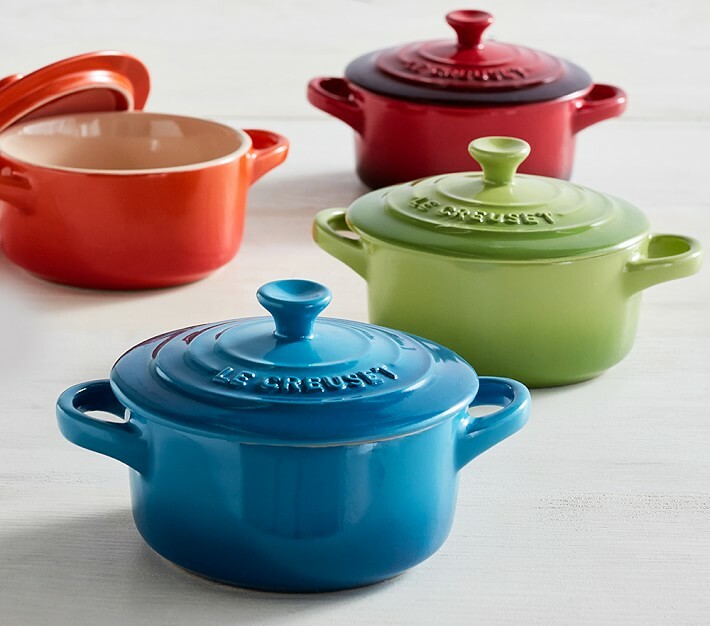 Available in four colors (classic vibrant blue, green, orange or red), these little Dutch ovens are made of polyresin, so they aren’t as heavy as their full-size counterparts. They’re perfect for little hands to cook up some pretend stew, soup or braised meat. 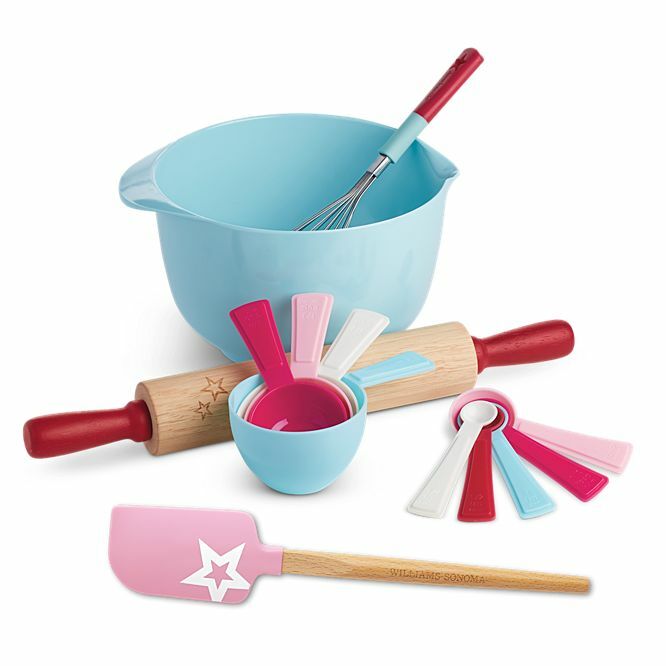 Older kids will love this “professional” baking set from American Girl and Williams-Sonoma. You’ve got all the basics here: rolling pin, spatula, whisk, melamine mixing bowl and measuring cups and spoons. Add the American Girl baking cookbook for the total package and wait for the sweet treats to start rolling in. For the ultimate kid foodies who are looking to make their own farm-to-table dishes. 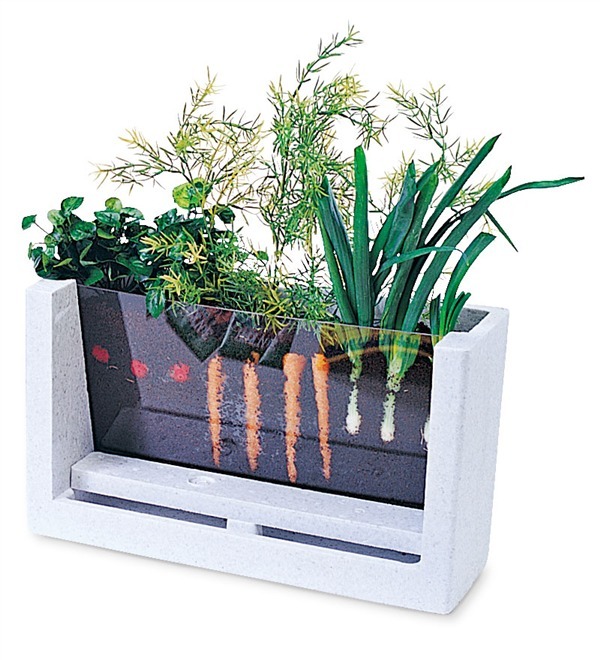 Let them grow their own veggies — no yard necessary — with this unique garden lab. Kids ages 4 and up can watch their plants growing through the viewing window and gain a new appreciation for where food comes from. As a bonus, health and life science company Bayer will donate a STEM toy to Toys for Tots when you purchase this toy (or a range of others) from Hearthsong. 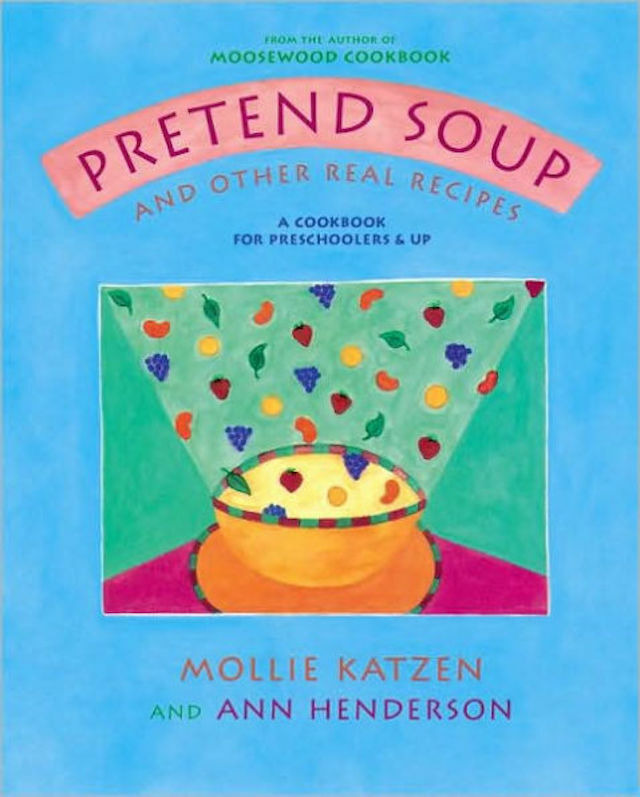 Mollie Katzen’s vegetarian cookbook is a perfect introduction to recipe following for little ones ages 4 to 8. Pretend Soup and Other Real Recipes features 20 fun, easy dishes, including chewy energy circles, polka-dot rice and counting soup. 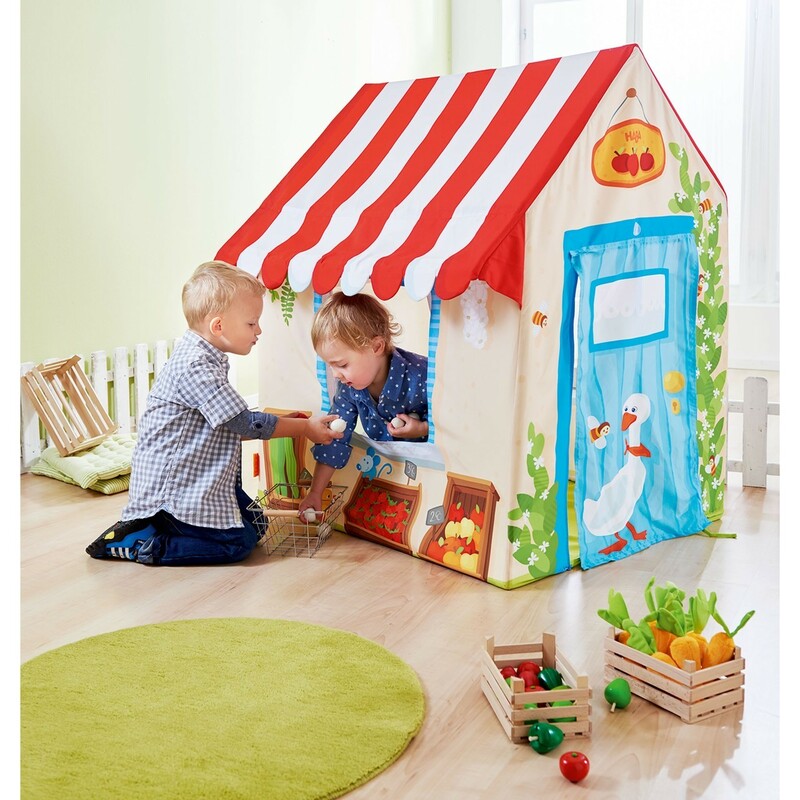 The perfect addition to your littles’ land of pretend, this tent functions as a quaint grocery shop. Small shoppers can browse and barter or “buy,” and mini shopkeepers can hawk their produce. The tent is 43 inches tall and features an awning, roll-up door and windows. This little play space makes a great gift for toddlers. 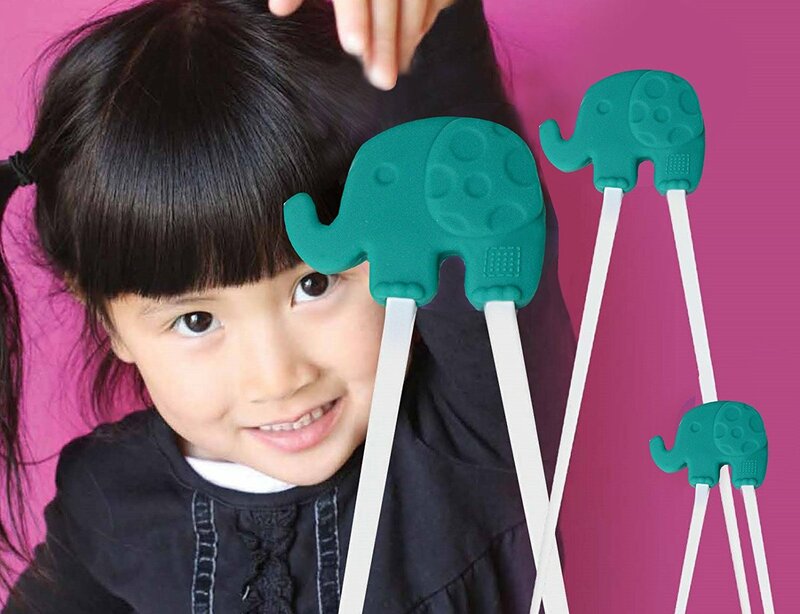 These animal-themed learning chopsticks help kids get a grip on dinner. Available in five colors, each featuring a different animal, the Marcus & Marcus chopsticks are made from food-grade silicone. They’re BPA-free, phthalate-free and PVC-free, so you can rest assured kids won’t be ingesting anything unsavory. Bonus: These make a great stocking stuffer. 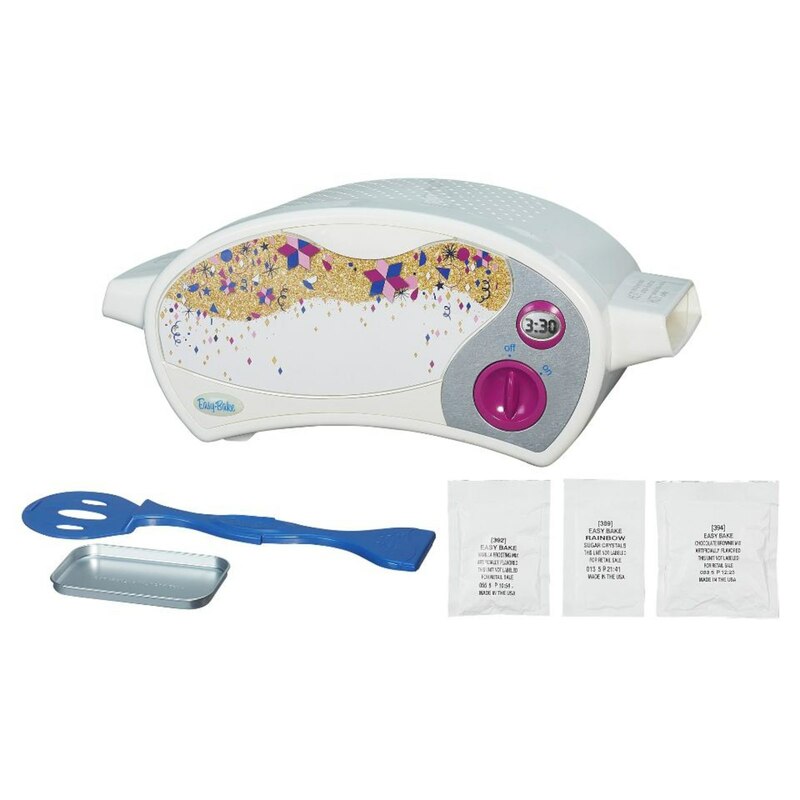 The classic baking toy, Easy-Bake Oven has a lock on the mini-baker market. Kids ages 8 and up can mix up batter and then pop it in the spangled gadget to bake their own treats. The oven is electric, so no light bulbs are needed, but supervision is still required. This set includes the oven, pan, tool, brownie mix, sprinkles and frosting mix. Additional mixes are sold separately. 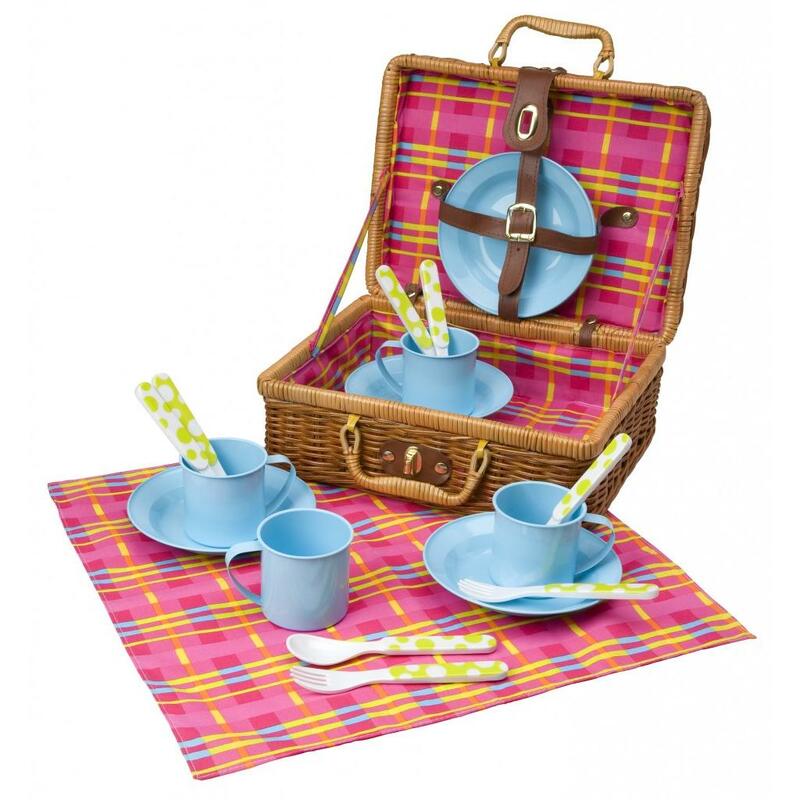 How sweet is this picnic basket? Little ones ages 3 and up can take their tasty treats outdoors — or set up a meal inside. Among the 18 pieces are four cups, four plates, four spoons, four forks, a tablecloth and a fabric-lined wicker picnic basket. 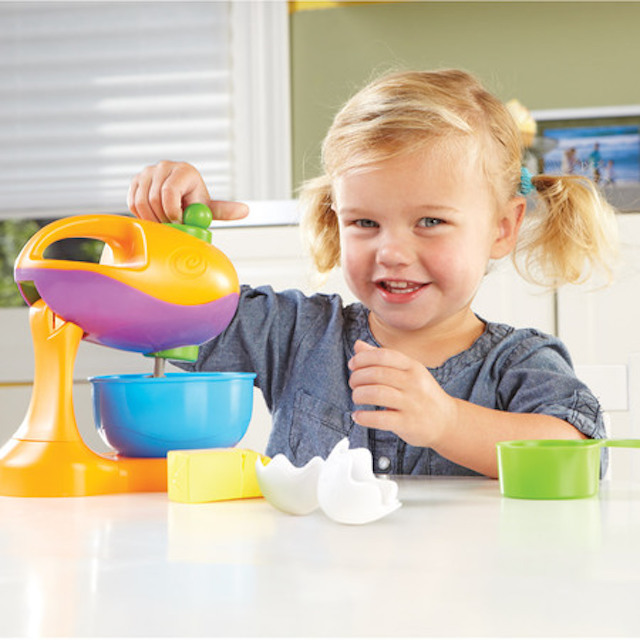 A great addition to any play kitchen, this mixer from Learning Resources is ready to get cranking. The set includes a mixer complete with spinning beater, plastic eggs, butter and measuring cup. A perfect preschool pick, it’s best for ages 2 and up. Enjoying a favorite beverage comes with a clever bonus when kids use these cups — yep, there’s an animal inside. As kids drink, a critter starts to emerge from the milk or juice or what have you. These cuppies are free of BPA, phthalates and PVC, and they’re even biodegradable. 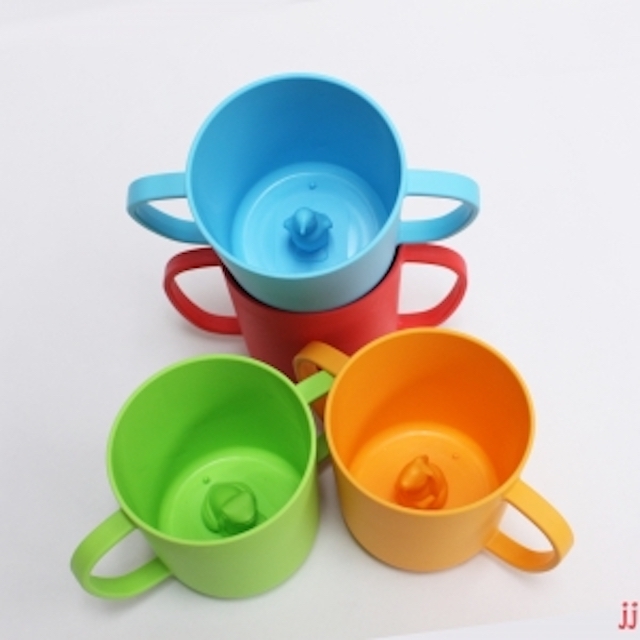 The 8-ounce-capacity cups also have practical handles that are great for the smallest kids and helpful for transitioning from a sippy cup. They’re available in green, red, orange or blue. Great for building preschool skills that lead to life skills, this play set uses a kid’s obsession with grocery shopping (what — is it just my kids?) to teach math as well as reading and writing. 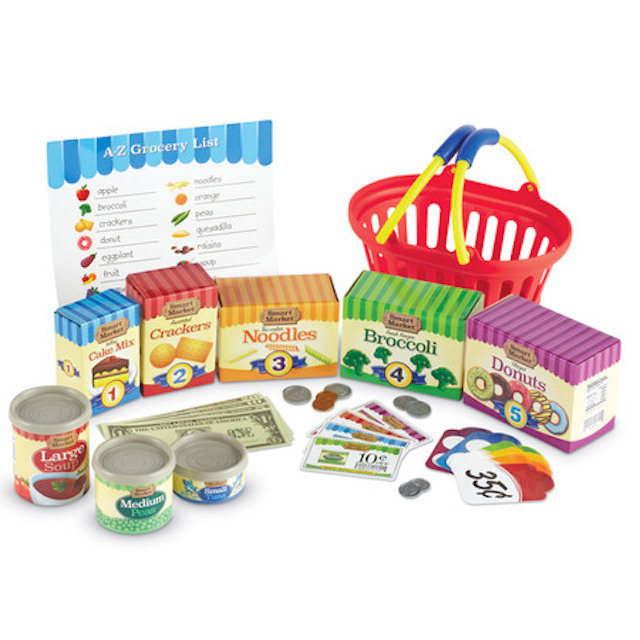 There are so many realistic accessories included with this toy: coupons, cans, boxes, price tags, a shopping list, a shopping basket and play money. Little ones ages 3 and up will be so excited to use “real” items, they won’t even realize they’re learning. There may in fact be no better gift for kids who love to cook than a kitchen tower. Little ones can climb inside and be at counter level, ready to help stir, roll or mix with you. 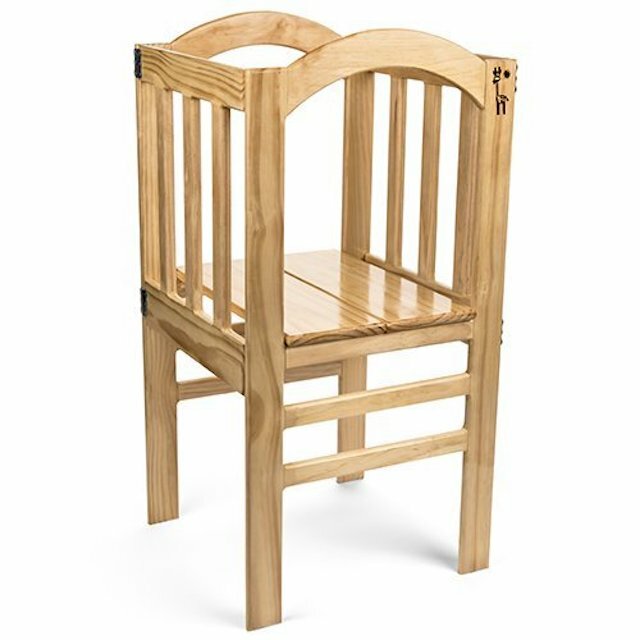 The True Tot Tower is a stable wood structure designed to safely assist your child in the kitchen. Plus, it folds up for easy storage, making it a kitchen addition that doesn’t have to affect your permanent decor or setup. The tower is available in raw wood (ready for painting) or varnished. Image: Alex Brands. Design: Ashley Britton/SheKnows. Pin this — then get cooking with your kids.